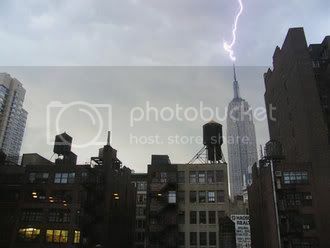 We're having some brilliant thunderstorms this evening in New York City. I'm dogsitting for some friends this weekend and their place happens to have a great view of the Empire State Building. I took my camera out hoping to grab a few shots as the storms approached but I never thought I'd get this lucky.